If you’ve ever read the label on a traditional mustard jar, you’ve probably wondered what some of those ingredients with long names are. While mustard naturally keeps well, most makers add preservatives and other chemicals to give it a longer shelf life. 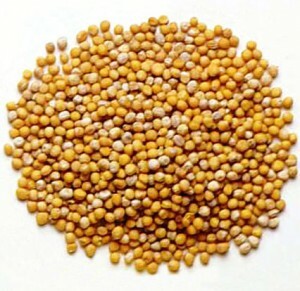 The good news is that you can make a very tasty raw food mustard and know that all the ingredients are high quality and safe. Here’s my favorite recipe for mustard. It takes just a few minutes to make and you can keep it in your refrigerator for up to a month. Combine all ingredients in a blender and blend until creamy, adding water as needed. The mustard may taste quite bitter at first; the bitterness will subside the longer it sits. It is best to make this mustard two or three days before you are planning on using it to let the flavors settle. Store in a jar in the refrigerator for up to two months.